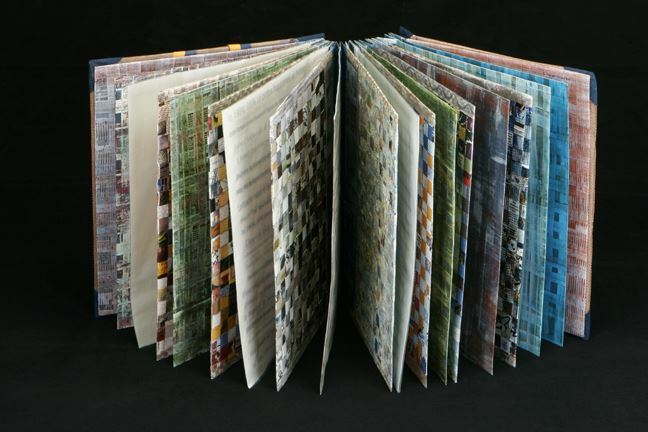 Sue Ann Robinson has been making limited edition and unique artist books since 1981. She began her professional career as a sculptor in Washington, D.C. before moving to Southern California in 1982. She worked at the Writer’s Center in Glen Echo, MD with Kevin Osborn and at the Women’s Building in Los Angeles. She has a bachelor’s degree from the University of New Hampshire and a Master of Fine Arts from Columbia University, NY. Her work is in many private and public collections including the National Gallery of Art in Washington, D.C.; the Victoria and Albert Museum in London; the Getty Center; the University of Washington, Seattle; the Visual Studies Workshop in Rochester, NY; Yale University Library; the Kohler Art Library at the University of Wisconsin, and the National Museum of Women in the Arts, among others. Her work has been exhibited locally, nationally, and abroad. 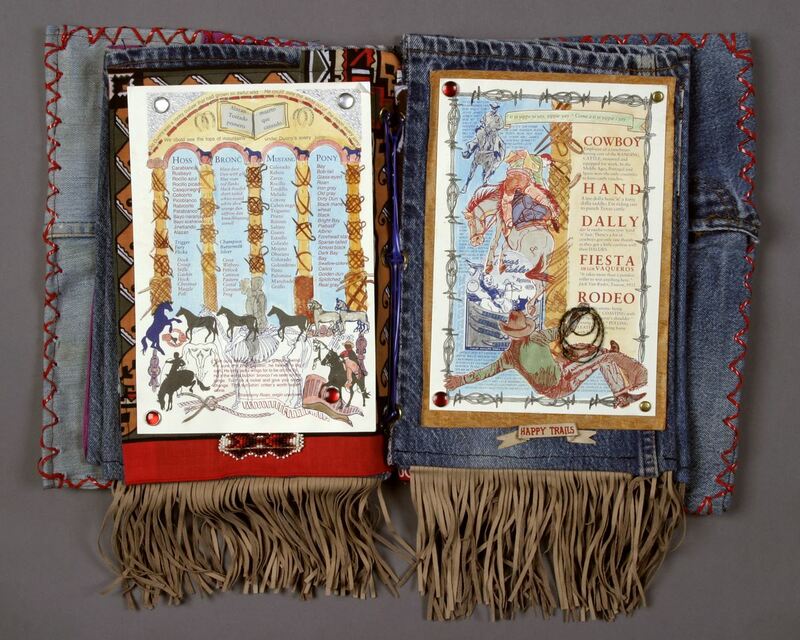 Her work is currently in the exhibition Chapters: Book Arts in Southern California at the Craft & Folk Art Museum, Los Angeles, CA. Robinson is the recipient of numerous awards, grants and residencies including the Visual Studies Workshop, Rochester, NY; the Women’s Studio Workshop, Rosendale, NY; the City of Los Angeles Artist Fellowship (C.O.L.A. ); the Arts Council of Long Beach; a Durfee ARC award; Dorland Mountain Artist Colony, Temecula, CA; Centrum, Port Townsend, WA; and six years as Artist-in-Residence from the California Art Council Artist in Community grants at the Long Beach Public Libraries and the Long Beach Museum of Art. She currently teaches Artist Books and Papermaking at California State University Long Beach and is Curator Emerita at the Long Beach Museum of Art. 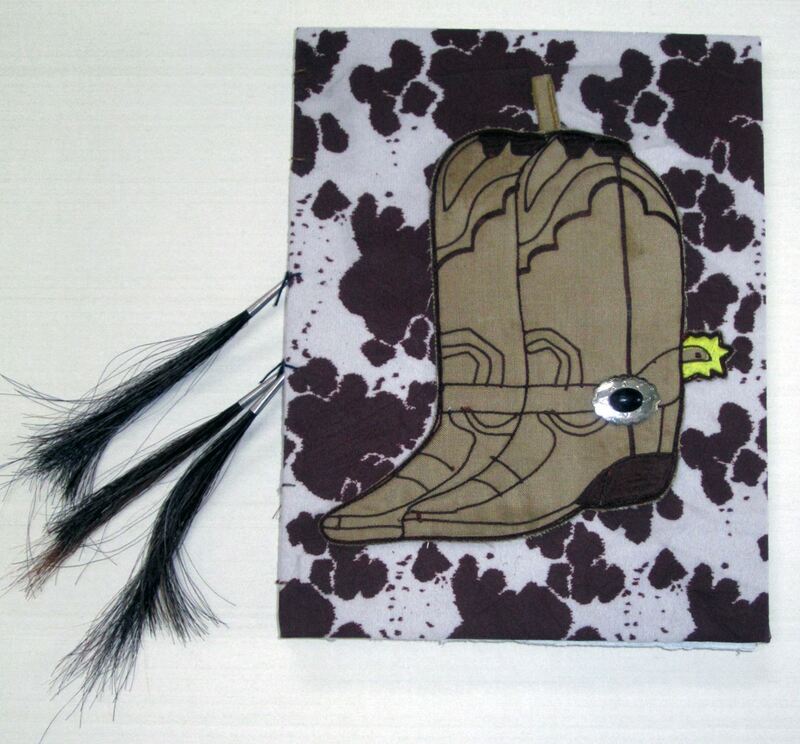 I create both one-of-a-kind and limited edition, mixed media, and sculptural artist books. 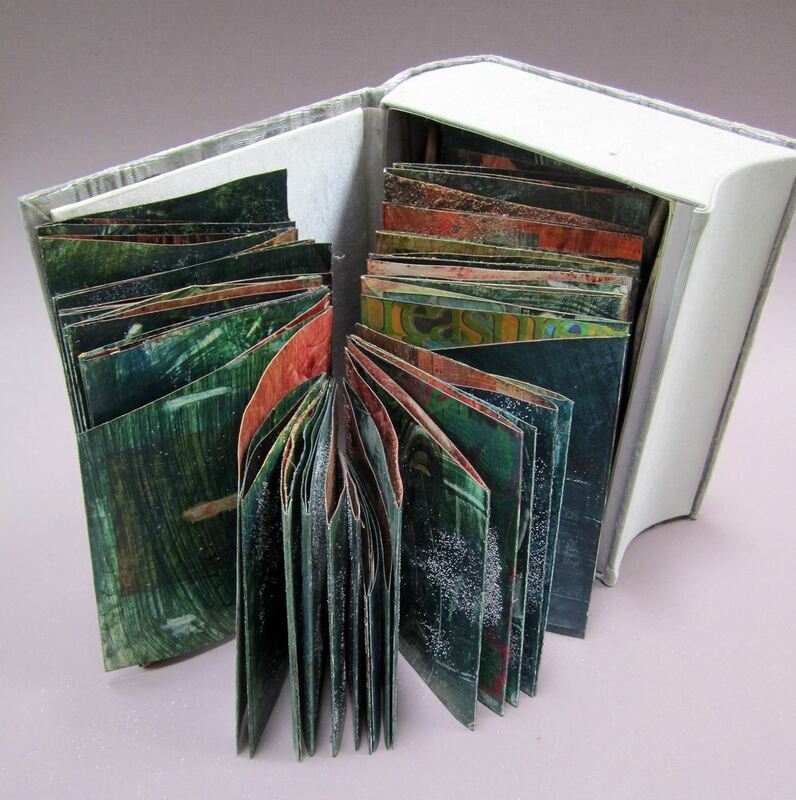 My work pushes the boundaries of the book arts by expanding the notion of the book as a useful container to being an expressive visual artwork. My work as a museum professional has been directed to the inclusion of artist books into museum art collections. 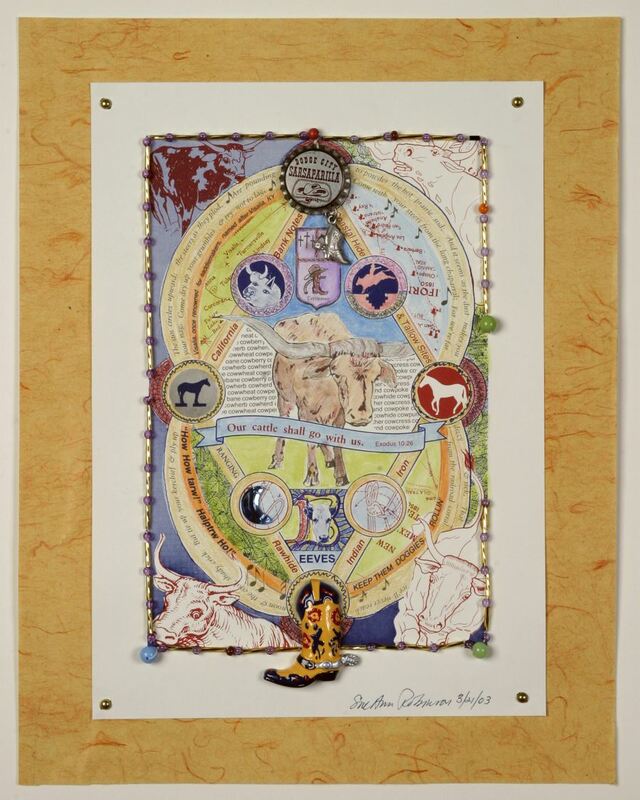 My artist books explore what is indigenous to place—both historically and currently, while simultaneously investigating the conception and use of books both past and present, as in The Chisholm Hours, a contemporary book of hours. I am deeply immersed in the material culture and natural history of places and I enjoy exploring sites both close to home and far a field. I am inspired by limitless possibilities for the integration of text with image with structure and materials. The artist book allows viewers to use multiple senses to have an aesthetic experience: the tactile sensual materiality of the pages embellished with multiple textures combined with the kinesthetic experience of movement of pages through time. A few of my artworks have incorporated scent (my Curried Book) and sound for an even deeper immersion into the experience. I love that artist books encourage the one-on-one experience of the viewer with the artwork. In a time of often brief digital images bombarding viewers with waves of pictures, artist books provide a time and place for thoughtful contemplation. Printed at the Visual Studies Workshop. of hours but the subject matter is the "cowboy." Painted and curried found pamphlets in an accordion structure within a hinged velvet covered box. with text of historic events in those years, and copper mesh covers. The image shows the book as an installation. Each sculptural book is a separate chapter. I have details of each chapter if you want to see them. 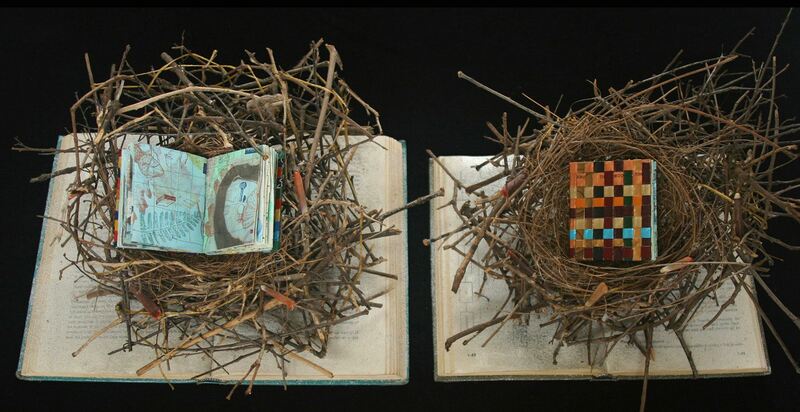 Composed of two altered books, two natural birds' nests, and two small bound books of text, images, watercolors in woven metal covers.